Bridge Haven was created in 1992 by George Hawley. There was lots of fun with lessons and games at that time. George even turned the club into a family event, with his daughters helping him on occasions. Chuck Starovasnik started running Bridge Haven in 1997, and continued the fun. Bridge Haven has been in four different locations since it's creation. 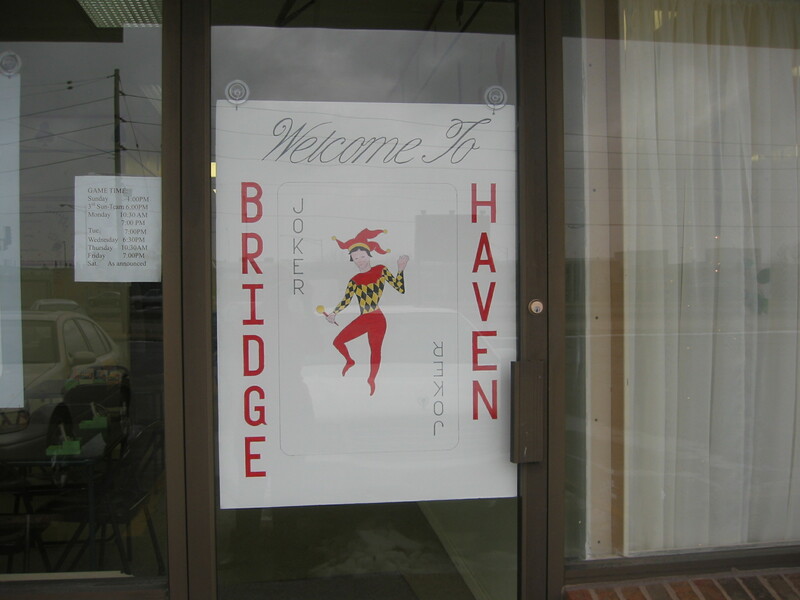 Bridge Haven has been at its present location, 6205 N. Lindbergh since February 2007. Bridge Haven is conveniently located off highway 270 at N. Lindbergh, exit 25A, South. 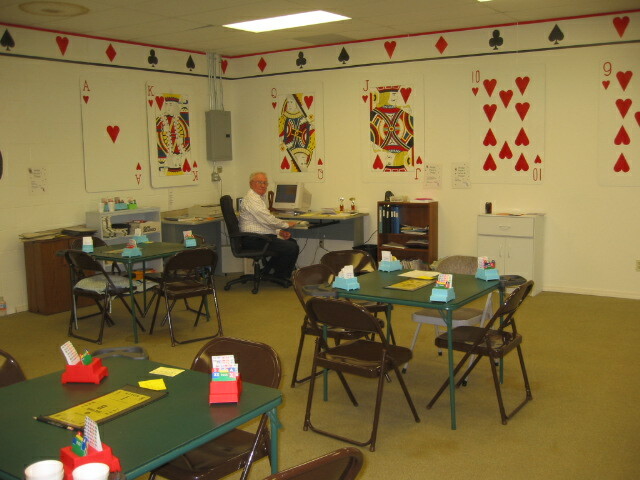 Bridge Haven's goal is to provide a variety of Bridge playing experiences for all bridge players in the greater St. Louis area. This would include novice games, stratified pairs, team games, and pot luck games. If you have a suggestion about a bridge games, feel free to discuss it with Chuck, 618-530-4300, or Barbara, home= 314-822-9454. 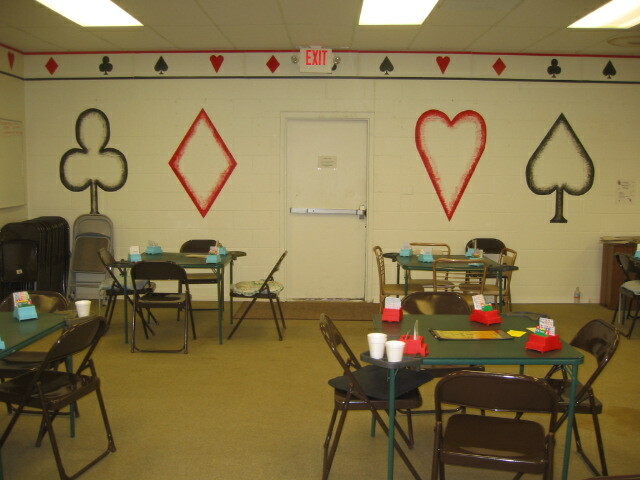 The monthly pot luck games is the result of a suggestion from an active bridge player. 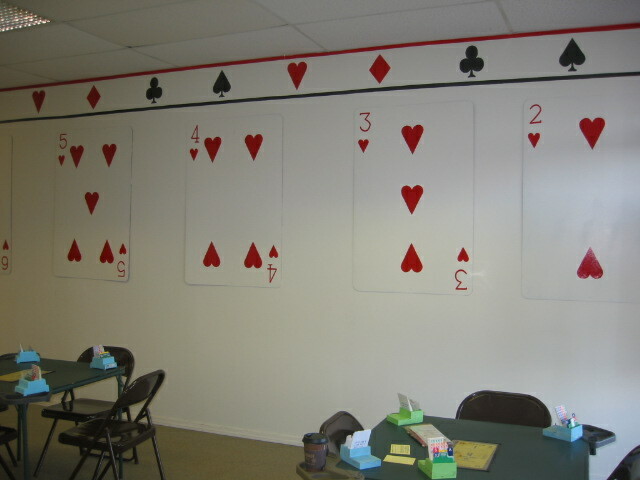 The art work at Bridge Haven was done by one of our bridge player, Bob Snyder. Bob and his wife, Pat have been playing Bridge at Bridge Haven for many years. Bob first did art work for Bridge Haven when we were at the Brooks Road location. 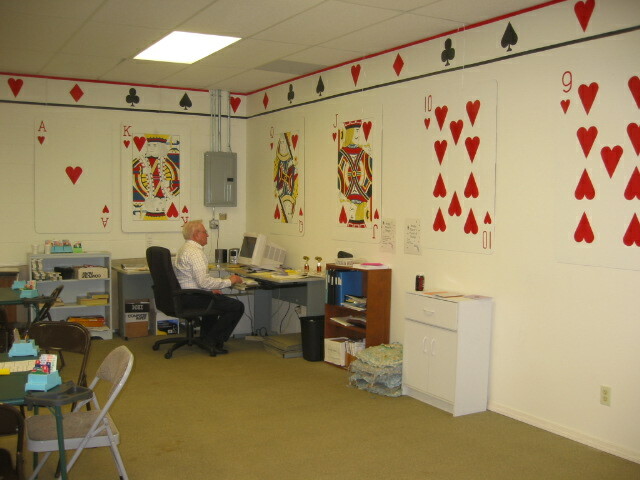 Bob had a life size deck of cards going around the room. 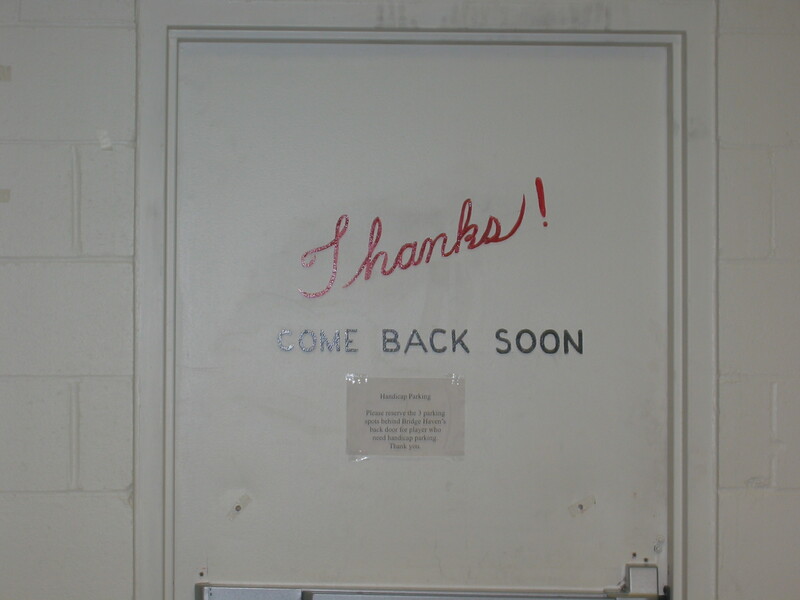 However, when that building was torn down, there was no way to save the art work as it was painted directly on the walls that came tumbling down. Thus, at our new location, please note the paintings are on boards that match the painted wall. Thus, if we have to move again, we will be able to take the paintings with us.